Sadness or the feeling of being overwhelmed/stressed out. I am happy I can feel emotion, because it isn’t all bad, just sometimes it would be nice to not feel some of these emotions. Do you have an emotion(s) you wish you didn’t have to feel? leave the answers in the comments. Are you easily frustrated? what is it that frustrates you? 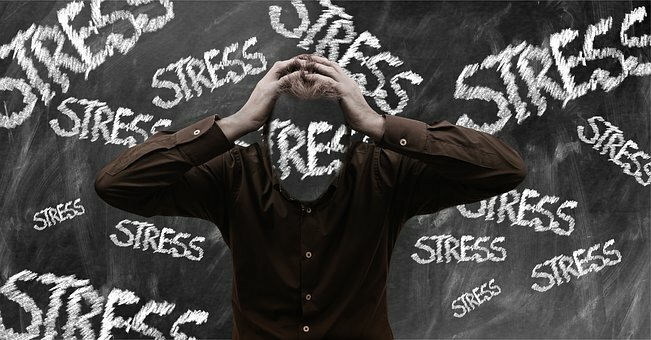 Yes, I can be easily frustrated when I am overwhelmed or stressed out. Many times the thing that frustrates me is when I am struggling to understand a concept or math equation & I keep trying to process the steps, but can’t get the formula down or understand the concept. Another frustration is when I am being sarcastic and it ends up offending someone, so I apologize but they don’t seem forgiving (even after saying “it’s okay”) because it makes me feel bad and I become frustrated with myself. Also, I get frustrated when people are running late or when I am running late. Are you the type or be easily frustrated, if so, what are some things that can cause you frustration? What a question for the kind of day I’ve had — having my IG hacked, for one that is a starter to my worries, but if we were to put that aside, my worry is for my future — my business/career, not knowing how my life will pan out, not knowing if I will be in a “happy place”, not knowing if I will be prosperous in all aspects of my life or will I be in the same situation I am now; feeling complacent. I like planning for my future (creating long term goals) but sometimes I feel like they take so much time to conquer and I second guess if I will ever make it out of this mundane lifestyle and into what I yearn for / what my heart desires. I am 26 right now and that means I am closer to 30, I’d like to be so much further in my life by the time I hit 30, I don’t want to live with this thought of not making it further in life than where I am currently. I get comfortable and then it gets hard to change, but I need change because if I don’t change, then I will be stuck being mentally drained from feeling worthless. I have smaller day to day worries as well; paying bills, working two jobs, is my mental state okay, will I be able to blog on this and that day, my body image being “good enough” , possible car problems arising, how to spread my time so I am able to spend more time with loved ones when possible, making sure I focus on my well-being and trying to keep my head above water when I feel anxiety or overwhelmed. These worries continue because of my anxiety and feeling as though I can’t sometimes take hold of my life the way I want to, it’s like I do well and then at some point I hit a brick wall & it stops me in my tracks. Its tough because many times I wish I didn’t care about so much, then I wouldn’t have to worry so much. What kind of things do you worry about? EVERYONE worries about something at some point in their lives; so what is something that has been on your worry list. Feel free to share in the comment section, and don’t forget to follow, share and like the page!